The Hargrove Cross Timbers collection redefines the role of a vented gas log set. Hargrove natural gas logs are known for their incredible beauty and fidelity to nature. This set has a realistic look and increased heating capabilities due to the radiant raiser, a U-Shaped log piece that creates a heat chamber in the middle of the log stack. Featuring a charred look, this 21-inch gas fireplace log set includes: Hand Finished Gas Logs, Embers, Sand, H-Burner, 70,000 BTU output, and Pedestal Grate for perfect position of logs. 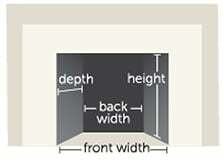 Minimum Depth Required 14 3/4"
Minimum Front Width Required 27"
Easy install and the cozy, charming results make this a product we will use again and again. After looking and comparing several we think this one has the best flame and look of any of them. 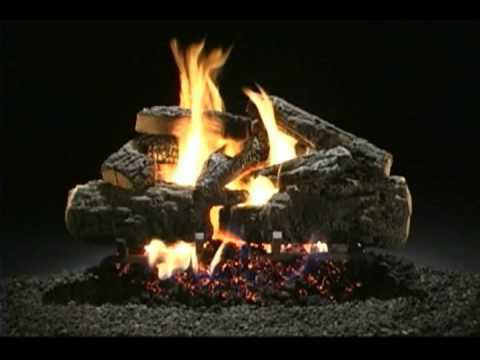 Does this log set come with the embers and stuff that goes under logs to give a realistic effect or do I have to order that separately? How do I know how much to order if it comes separately? Yes, the embers are included in this gas log set. 14 3/4" 14" 14" 15"